WhatsApp is the best and simple social messaging application used by millions of people around the world. The WhatsApp app allows the user to send text messages, Voice calls, Video calls, live location sharing, and even allows sending different formats of multimedia files. WhatsApp is now available on almost all the platforms like Android, iOS, Windows, Mac and also on Windows Phone. Facebook Owner Mark Zuckerberg had bought the WhatsApp application when it seemed to have good scope in the future market. Now, The WhatsApp has billions of daily active users around the globe. I think I have given a brief description of WhatsApp App. Now, Let us we dive into the main topic on using WhatsApp web on PC. How to use WhatsApp web on pc? How can I use WhatsApp on my PC? How to use WhatsApp web of Android or iPhone without PC? So, For all these queries. I am going to give a step-by-step solution. If you’re eager to know, Then follow the below given instructions. WhatsApp never releases unwanted updates that affect the user experience. Each update which was being released has some purpose. Once such that is, WhatsApp Web. WhatsApp web is a feature which allows the user to send and receive messages and Media files. The WhatsApp web runs on a browser where you need to authorize the connection with the help of your Phone’s QR code (Unique code). The Process is not so difficult; It takes around 1-2 minutes to get connected and to use WhatsApp web on your browser. Open Your browser and visit WhatsApp web Page. Now, Open WhatsApp App on your phone. You can see three vertical dots in the top right corner. Click on that and Select WhatsApp web Option. Now, You can see the QR code in your browser. Scan that QR code from your phone. And You’ve got connected to WhatsApp web. Note: – Make sure you have proper internet before you connect to the WhatsApp web on your browser. Once your Phone disconnects from the internet, then your WhatsApp web also gets disconnected automatically. We have seen how to connect and use WhatsApp web on PC. Now, Let’s see how can we use WhatsApp web on Android Phone without the use of PC. Open the browser in your Android phone. Recommended browser: Chrome (or) you can use any browser which supports desktop site view. Now, Visit web.whatsapp.com in the Google Chrome browser on your Android phone. Then, You can see the three vertical dots in the top right corner of your browser. Click on that and enable Desktop Site view. After this step, Open the WhatsApp app and select WhatsApp web and scan the QR code from your phone. And within a few seconds, you will get connected to the WhatsApp web on your Android Phone, and You don’t need any PC here. Download the WhatsApp App on your PC. After the download, Click on the run and complete the Setup. Now, Open the app, and you will be able to see the QR code which shows to scan. Open WhatsApp on your phone, Select WhatsApp web option from the three vertical dots in the top right corner. Scan the QR code from your Phone, and you’ve got successfully paired. 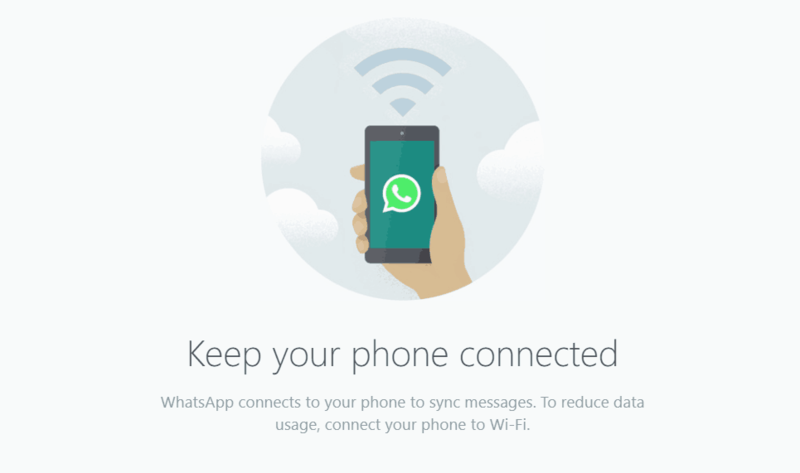 So, This was our short and simple on using WhatsApp web on PC as well as on Android Phone. If you face any issues connecting to the WhatsApp web, then do let me know your problem in the comment section below. I will help you within a few hours. Also, If you found this article useful, then don’t forget to share it with your friends.